Longstone Holiday Cottages01629 640542work Self-catering"At the heart of the Derbyshire Peak District, Longstone Holiday Cottages offer peace and tranquility in a beautiful setting"
Quality accommodation, great value - the ideal choice all year round! 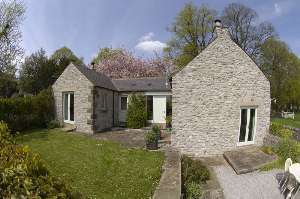 Detached stone cottage , French windows opening onto sheltered south facing garden with outstanding views. Character stone cottage recently refurbished. Light and airy kitchen/dining area, beamed lounge, cottage garden. Newly converted, open plan living area, impressive spiral staircase to large bedroom, French windows to garden. All our cottages have gas central heating, woodburners and off-road parking.